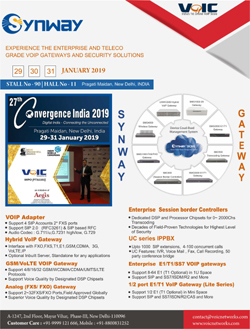 ItVoice | Online IT Magazine India » “Cloud is the base of all the latest technologies.”-Mr Tarun Dua Managing Director and Co-Founder E2E Networks. April 22, 2019 9:07 am You are here:Home Interview“Cloud is the base of all the latest technologies.”-Mr Tarun Dua Managing Director and Co-Founder E2E Networks. “Cloud is the base of all the latest technologies.”-Mr Tarun Dua Managing Director and Co-Founder E2E Networks. Mr Tarun Dua Managing Director and Co-Founder E2E Networks. Nisha Harshwal:-Share details about the inception of E2E Networks ? 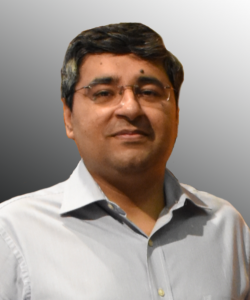 Mr Tarun Dua:-We began in 2009 as a contractless computing player targeting the value conscious segment of customers, we have been gradually building up our self‐service public cloud platform that can enable rapid deployment for businesses looking to roll out their online server side web or mobile applications. We provide building blocks that can be used to rapidly architect computing infrastructure with pre‐configured open source based micro‐services such as webservers/loadbalancers/firewalls/databases etc on our Public Cloud Platform for our customers. This results in lower project delivery costs by cutting down the delivery timelines. We see a huge opportunity in the self‐service cloud computing market in India by investing in improvements and feature additions to our Public Cloud Platform. Our Multi‐Cloud CloudOps transformation services can be used to deliver devops and managed services projects on any of the 2000 plus public clouds across the world. Our CloudOps platform uses a blend of automation delivered via technology combined with human intelligence. 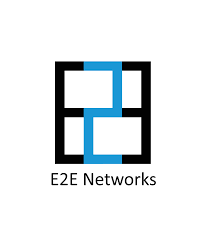 E2E Networks is an Open Source First Public Cloud platform. Nisha Harshwal:-What is your mission and vision for 2019? Mr Tarun Dua:-Our mission for 2019 is to dig deeper into the problems that can be solved for Indian SMEs to ease their transition into the cloud. Our vision is to provide to become an Open Source First company targeting cloud computing for SMEs in India Importance of Cloud Computing in next five years. From the point of view of addition to the GDP growth and employment generation in India Cloud Computing is opening a whole new set of opportunities. As organizations focus on digital transformation, Artificial Intelligence based applications, big data analytics, API driven accessibility for partners the importance of the Public Cloud Computing grows via sheer network effects. Cloud Computing technology is actually on a cusp of transformation and the effects would be visible in every sphere from smart cities to ongoing security and management of parking lots, housing societies, citizen government interfaces, self-driving cars, advanced scientific research to name just a few areas apart from traditional Software As a Service applications, social media, video delivery platforms, email/instant messaging and e-commerce. Nisha Harshwal:-How has availability of broadband internet for SME’s has increased adaptation Cloud Computing for Deployment? Mr Tarun Dua:-The current revolution in 4G and a massive improvement in the quality of wired connectivity coupled with falling costs of connectivity in India is resulting in better connected SMEs. This presents a unique opportunity in cloud computing space. One of the most often heard objection for moving from on-premise solutions to Public cloud has been expensive and un-reliable connectivity in India. This has generated better confidence in the SMEs to migrate their on-premise IT applications to the Public Cloud. 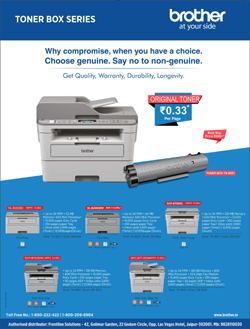 E2E Networks has seen increasing trend amongst its SME customers. Infrastructure on the Public Cloud with its reliability and broadbased connectivity allows easier interoperability with other API based cloud services which presents businesses with new opportunities to open up new growth paths. There are opportunities to try out innovations in IoT based smart devices, AI driven sub-systems which can be plug and play which can be explored by businesses of all sizes including SMEs. Nisha Harshwal:-How is Open Source Technology transforming the Tech Industry? Mr Tarun Dua:-Open Source is making creation of Cloud Native technology companies dramatically less expensive. Massive exits have been reported in the Open Source Ecosystem Salesforce buying MuleSoft for $6.5B, IBM acquired Redhat for $34B. Redhat itself was one of the most active acquirer of OSS technology companies having bought CoreOS, Ansible, Inktank Storage, and Gluster. Salesforce buying MuleSoft for $6.5B. Microsoft acquired GitHub for $7.5B. The massive exits are indicative of the massive value Open Source has generated in the technology ecosystem. Open Sourcing code via Open Source Licensing disrupted the traditional software businesses like Databases, most used DB softwares are Open Source. Most used webservers are open source, so on and so forth today for every software category. Most of the Software today we use on the Cloud is Open Source. 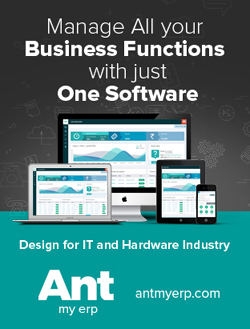 The disruption Open Source brought in the Independent Software Distribution Marketplace is now being carried over the Public Cloud Infrastructure market. Adoption of multi-cloud is going to be driven by robust interoperable Open Source Software rather than proprietary managed services offered by the Public Cloud Providers. The Public Cloud Providers who choose to NOT contribute back their advancements in technology to Open Source become more proprietary they’ll get saddled by massive costs of development, nimbler multi-cloud enabled Open Source Companies shall eat their lunch in every area of Cloud Computing. Nisha Harshwal:-What are the current and the targeted revenue of the company? Mr Tarun Dua:-E2E Networks had a revenue of 36.29 crores in 2017-2018. E2E Networks aims to more than double its revenue in the next 3 to 4 years. Nisha Harshwal:-What are your Future Plans? Mr Tarun Dua:-As we have seen the trends in today’s world. Cloud is the base of all the latest technologies. Cloud services market in India will be of $2,028 million as per the gartner’s report. Our vision is to become an Open Source First Cloud Platform that enables seamless transition to multi-cloud. We intend to significantly expand our Public Cloud Computing offerings targeted at the SMEs in India. The broad theme for us is to service the end to end cloud computing needs for our customers. Nisha Harshwal:-What were the key achievements of E2E Networks in Year 2018 ? Mr Tarun Dua:-Our Cloud Platform has significantly matured from its humble origins a couple of years back. We listed on the NSE in May 2018 and became a public company. E2E Networks Limited is amongst the India’s fastest growing pureplay SSD Cloud players. 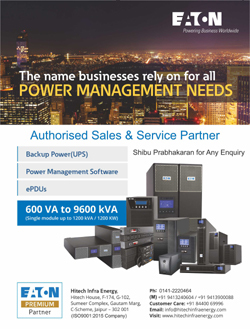 E2E Networks IAAS platform is one of the largest in India amongst players funded by largely domestic capital. E2E Networks SSD cloud platform can be accessed online in realtime via https://myaccount.e2enetworks.com where you can launch new SSD based high performance nodes on the fly and access other functionality of the cloud with features like image save, Continuous Data Protection, DNS control panel, basic CPU/RAM/Network utilisation of Virtual Compute nodes, Smart Dedicated Servers and many new features being released every month. Most of our self-service software has been re-written in the past year to become more robust and scalable. Significantly scaling up the offerings of our self-service platform based on Open Source Technology building blocks in 2018 has been the key them for E2E Networks. CoreOS Linux Brings Linux Containers As A Service!